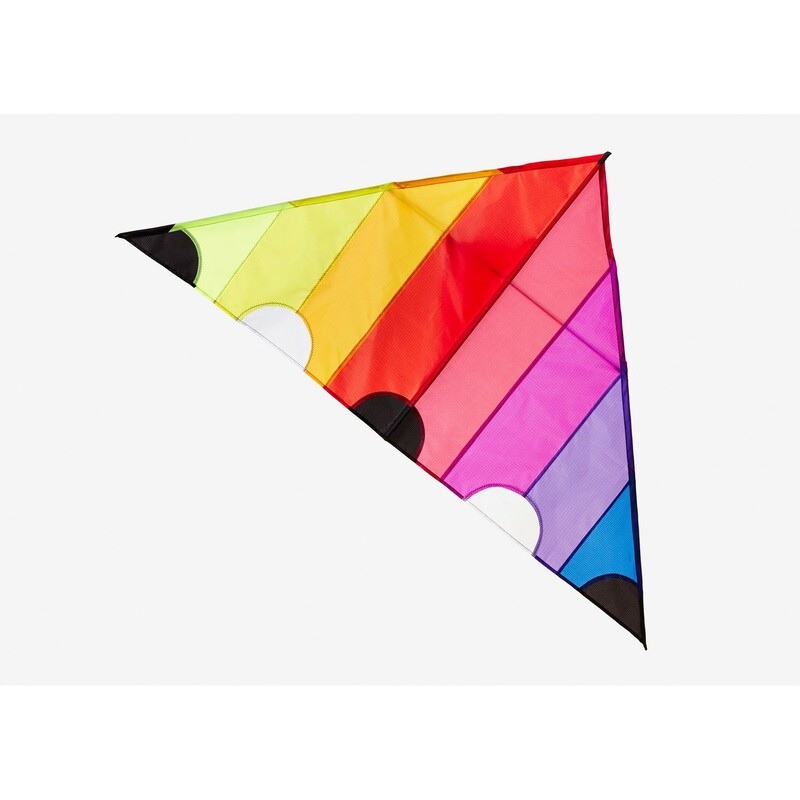 The kite by Fredericks & Mae provides a bright and colorful contrast beneath a clear blue sky. Made from durable rip-stop nylon. String and winder also included.